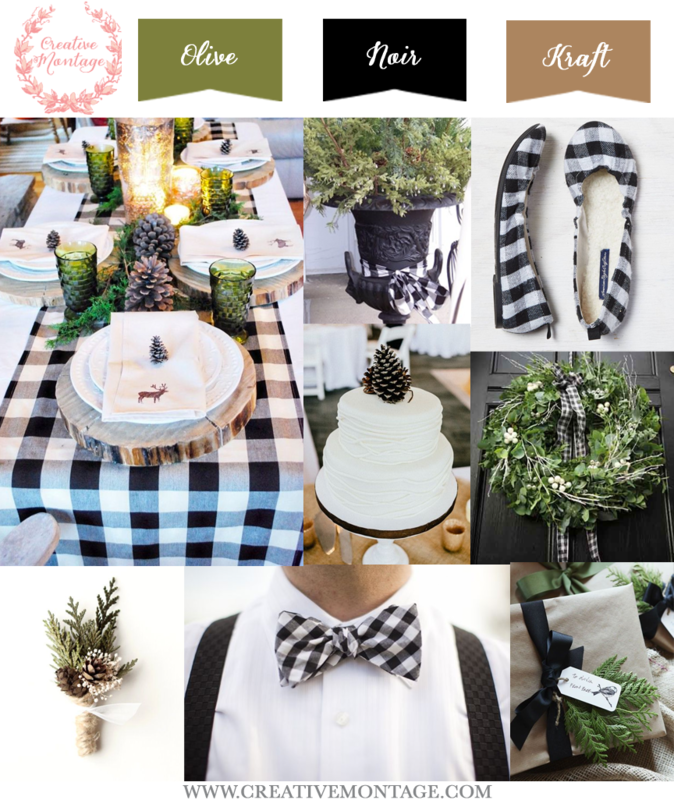 I love the crisp black and white buffalo check paired with more rustic touches, like wood, burlap and kraft paper. Its preppy meets rustic, a total juxtaposition of styles! The green adds a little bit of warmth to an otherwise simple palette and keeps the vibe festive in a non-traditional way.